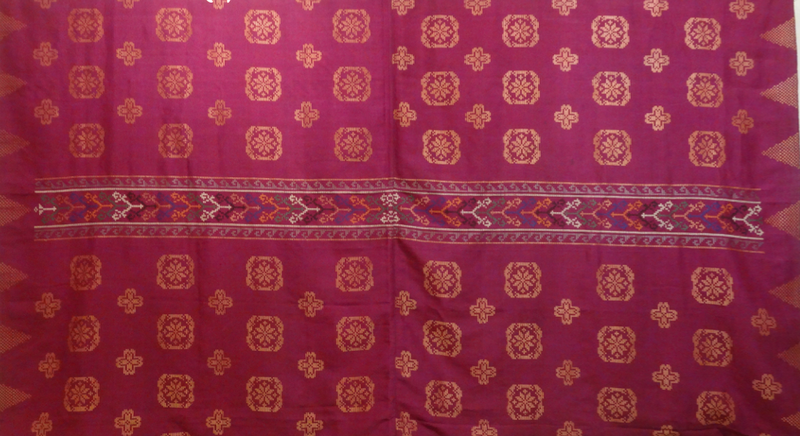 The malong is adorned with a planar pattern consisting of crosses and flowers as motifs. 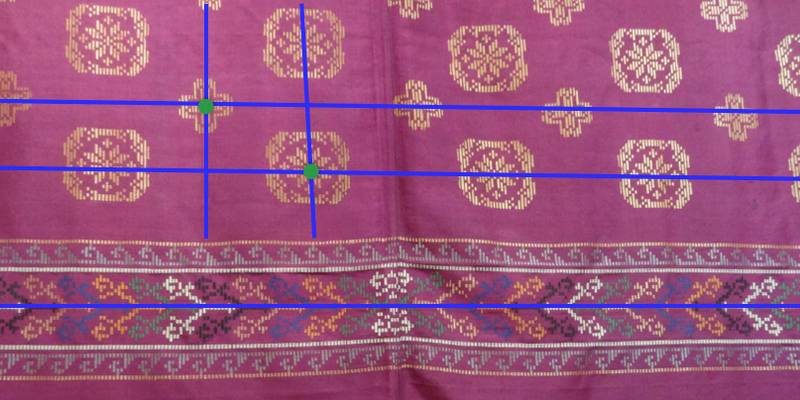 A frieze pattern runs along the center of the malong. The symmetry group of the repeating pattern is pmm. There are 1800 rotational symmetries with centers located at a center of a flower and at a cross. There are reflections along vertical and horizontal axes also passing about these centers. The symmetry group of the frieze pattern is 1m. There is a horizontal reflection symmetry with axis passing through the center of the design. The weaver introduces a symmetry breaking, to break the translational symmetry by introducing a single motif at the center of the frieze pattern.